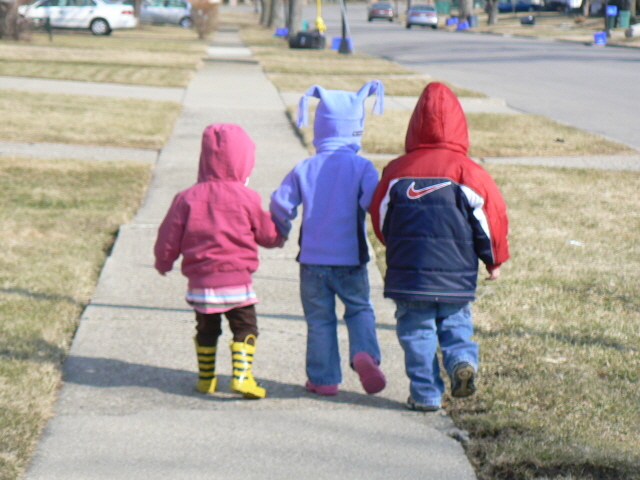 Taking a walk with her buddies Quinn and Nolan. And a little smooch for her boyfriend Max! Caught in the act! Super cute stuff and this daycare woman so rocks. So cute....what a nice perk to have from your childcare super woman! Hey that Max gets around!! He is Ava's boyfriend. I have many a kissing pictures to prove it. I hope this doesn't cause a problem between Ava and Poppy! Too cute! And I see she is still wearing her bumble bee boots. ok, that is amazing. that must be a huge treat having pics of your baby sent to you at work. so sweet! sounds like you hit the jackpot w/miss rose! You gotta watch those boys! Poppy is so cute she will break many a hearts. That's great that you have such a wonderful sitter. wow, that is awesome! I love the kissing...lol! I'm so behind on commenting! But I'm still readying. Where the heck did you find such an awesome daycare??!!! That's so fantastic that she does all that every day for you. 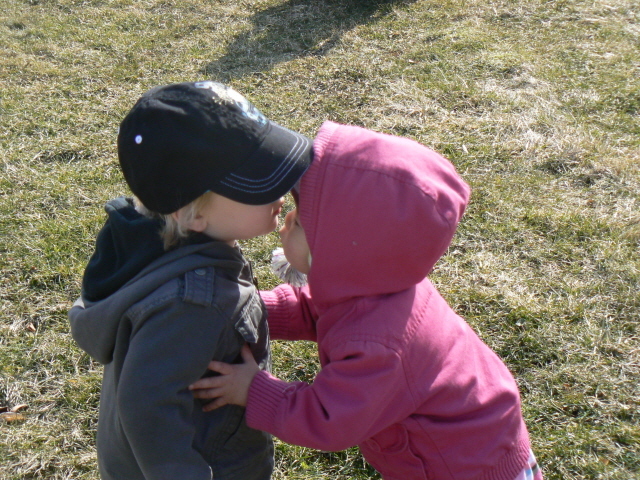 Love the first kiss!